In fact, Italy is already in recession. Its GDP fell in both the third and fourth quarters of 2018, and few forecasters are as sanguine as Mr Conte. The Bank of Italy expects the economy to grow by just 0.6% this year. The prime minister is banking on an expansionary budget. 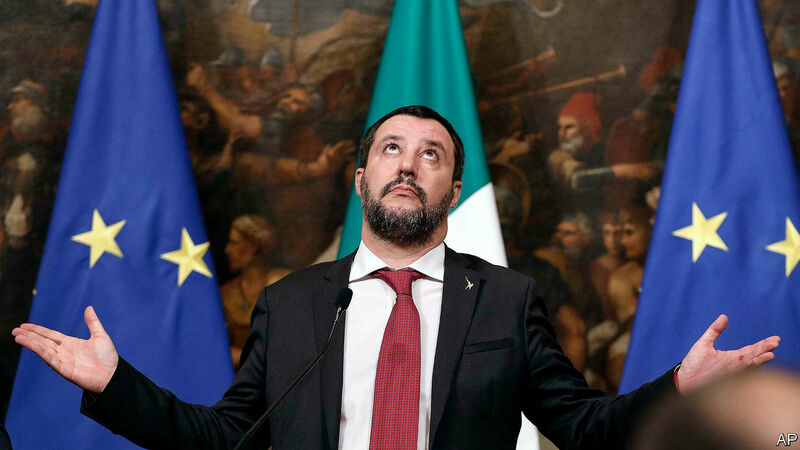 If this fails to revive the economy, the two parties in his populist coalition, the Five Star Movement (M5S) and the nationalist Northern League, will be in trouble. Many question whether their fractious marriage can survive beyond summer.